LONDON (Reuters) - The outlook for export orders of the Typhoon fighter jet is as good as it's been for quite some time, with demand coming from the Middle East and Europe, the boss of BAE (BAES.L) said. "We have a number of export campaigns in play and ... I think the outlook for Typhoon export orders is as good now as it's been for quite some time, both in our very important Middle East customers but also within Europe," Charles Woodburn told BBC Radio on Monday. Britain's Defence Minister Gavin Williamson is set to unveil a model of the country's proposed new fighter jet at the Farnborough International Airshow later on Monday. 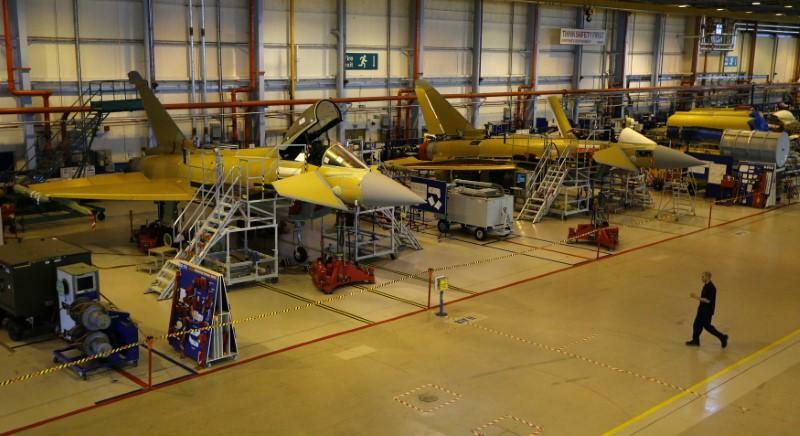 The aircraft, which will eventually replace the Typhoon fighter jet, will be developed and built by partners BAE Systems (BAES.L), Rolls-Royce (RR.L) and Leonardo (LDOF.MI), the source said.